If you are a pet lover, it is worth taking a look at a premium cat bed cave. Fully handmade with 100% Merino wool, its a perfect gift for cat and Kitten lovers. A special touch to your home decor with a warm, cozy and durable cat bed. Its safe, toxic free and eco-friendly for friends and family environment. Merino wool is not only soft and flexible, it naturally repels odor, dirt and stains and best suitable for your furry friend and family. 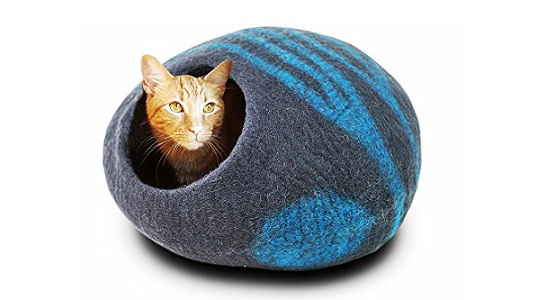 These pet caves are also available in large sizes.